This article address some common problems/caveats when using WSL as your daily development environment. with better compatibility, performance and serial port support. The most challenging (and missing) part of Web-based applications (especially internal systems) is printing. Browsers do not allow silent printing and users demand it heavily. “Chrome Direct Print” bridge the gap between Printer and Web Apps. “Chrome Direct Print” make use of “Native Messaging API” to communicate with processes (aka host). 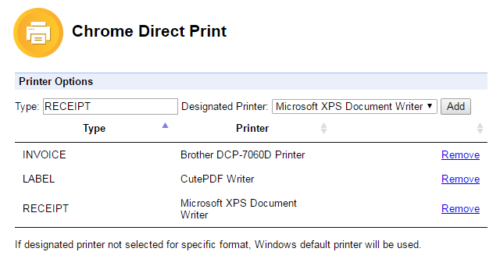 download PDF documents, and finally calling embed PDF reader to send PDF to printer. Source code here are for reference and study purpose only. This article requires Windows 10 (Build Version 1709 [The Fall Creators Update]) or above to work. Although WSL exists since Version 1607 [Anniversary Update], it’s harder to setup and more buggy.